They are very professional and courteous. Dr Wexelman is patient and take his time to explain everything to you. I'll gladlyrecommend him. They are very professional and courteous. Dr Wexelman is patient and take his time to explain everything to you. I'll gladly recommend him. He is the best doctor in the world and he is helping me tremendioisly and i apprecites the extra miles hetakes to insure i have the best possible treatment i can get.. He is the best doctor in the world and he is helping me tremendioisly and i apprecites the extra miles he takes to insure i have the best possible treatment ican get..
Warren Wexelman is a caring and diligent internist and cardiologist based in Brooklyn, NY. Dr. Wexelman earned his medical degree from the Universidad Autónoma de Guadalajara Facultad de Medicina in Mexico. He completed his residency in internal medicine at Maimonides Medical Center. He completed a fellowship in cardiovascular disease at the same institution. 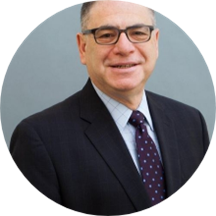 Dr. Wexelman is a part of NYU Langone Cardiology Associates Brooklyn. He is fluent in English, Yiddish and Spanish. His awareness of these different languages makes him accessible to patients from a variety of cultural backgrounds. During his consultations, he fully explains patients’ conditions and helps them choose an appropriate treatment plan. Dr. Wexelman is sensitive to the uniqueness of each patient's situation and adapts his consultations and treatment options appropriately to accommodate individual needs and concerns. The office offers full non-invasive cardiac testing on site, including holter monitoring, echocardiograms, vascular testing, carotid ultrasound, ambulatory blood pressure recording and venipuncture. Etiology and clinical significance of new fascicular conduction defects following coronary bypass surgery Wexelman, W; Lichstein, E; Cunningham, J N; Hollander, G; Greengart, A; Shani, J American heart journal. 1986 May. 111 (5): 923-927. Coronary Collateral Circulation and Precordial St Depressions in Inferior Myocardial-Infarction [Meeting Abstract] Shani, J; Wexelman, W; Onah, Je; Rivera, M; Hollander, G; Greengart, A; Amazon, H; Lichstein, E Clinical research. 1984. 32 (2): A206-A206. Clinical Characteristics of Patients Developing Bundle-Branch Block after Coronary-Bypass Surgery [Meeting Abstract] Wexelman, W; Greengart, A; Shani, J; Hollander, G; Lichstein, E Clinical research. 1984. 32 (2): A216-A216. Flawless experience every time I go. Overall excellent experience. Doctor and staff are all very kind, caring, and professional. Dr Wexelman and his staff were warm, friendly and informative. I was nervous about seeing a new doctor and I was treated courteously and had all my questions answered. It is so important to find a great team to help maintainyour health and I am so grateful to have found Dr Wexelman. I absolutely LOVEEEE dr wexelman and his staff! Everyone was very professional sweet and friendly. Dr wexelman answer all questions and he doesn't rush with his patients.i would definitely recommend him! !